Beautiful beaches are the main reason for planning a vacation to Florida. With over 1200 miles of coastline this State offer many spectacular beaches. Most of these beaches are beautiful. So it can be difficult to select from best from them. Never mind, here the list of 10 most beautiful Florida beaches to visit. The most popular tourist attraction in Daytona beach city. This beach is famous for its vast stretch of hard-packed sands. It makes Daytona as a great beach for motorsports. The waters of Daytona beach is also very clear. The beach driving is restricted to specific areas. Only allow riding when the weather condition is fine. Walk along the well-maintained boardwalk along the shore to enjoy the beauty of the beach and pleasant climate. You will find gift shops, hotels, bars and amusement centers white you walk along the boardwalk. The main pier at the Daytona beach extends 1000 feet into the Atlantic Ocean. It features a Victorian style building that hosts dances, beauty contests and other social activities. It is an ideal beach for surfing and swimming. Luckily, Daytona beach also features resorts and hotels for all budgets. The spectacular Pensacola beach is located on the Santa Rosa Island of Florida. With striking white sands and emerald green waters, the Pensacola beach is truly a paradise for beach lovers. Walk along Pensacola beach gulf pier that extends 1470 feet into beautiful green waters of Gulf of Mexico. This pier opens seven days a week. It offers the great view of Sunsets and marine life including different species of fishes, sharks, dolphins and rays. A great place for relaxation as this beach has plenty of uncrowded spots. Pensacola beach is also great for shopping and food. Along the beach, you can find a variety of restaurants, bars, shops and resorts. Due to the long stretch of coral reef, the Key West Island in the Florida Keys has only a few beaches and most of them are man-made. These beaches also have few stretch of sands. But they are beautiful and great for water sports. 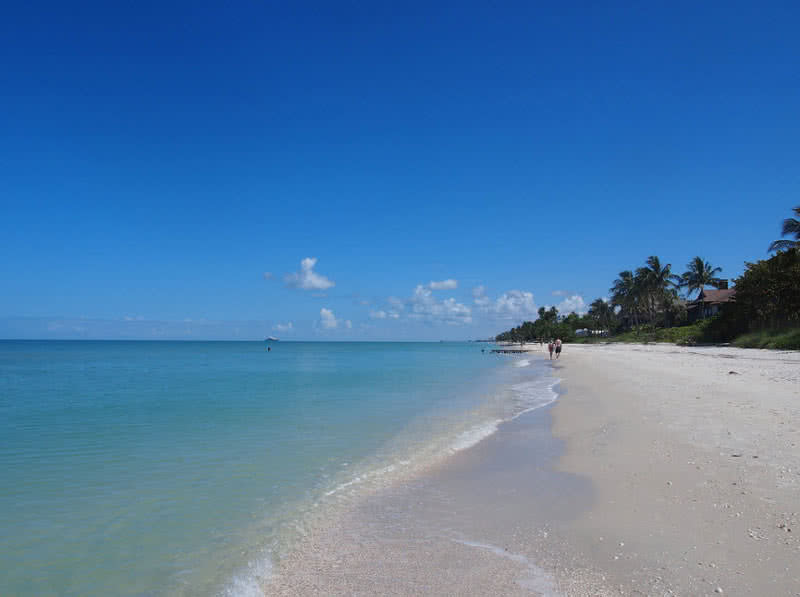 Smathers beach, fort zachary taylor, higgs beach and dog beach are the most popular beaches in the Key West. Upon them, the largest one is smathers beach which stretches over 2 miles. It’s a man-made sandy beach. You can enjoy jet skiing, parasailing and windsurfing in this beach. The shallow, clear waters and the long stretch of coral reefs make Key West as one of main destinations in the Florida Keys for snorkeling. There are many body services that take you for snorkeling. You will see amazing marine life and spectacular living corals through the clear waters of Key West. The calm and clear waters of Key West also offer great opportunities for kayaking and cruising. This beautiful Island is also a great destination in Florida to watch Sunsets. 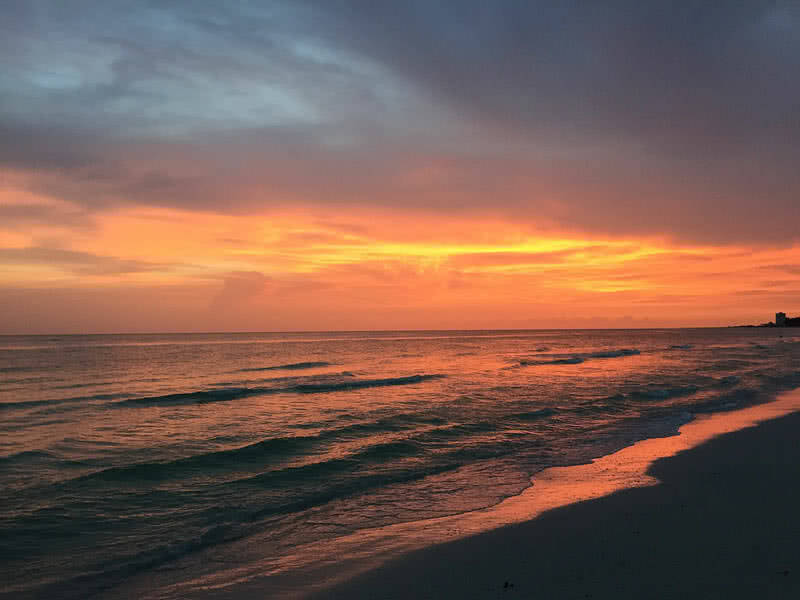 Located on the Emerald coast of Florida, the beach city of Destin is home to a number of beautiful beaches with sugar white sands and emerald green waters. The city offers 13 public beach access points for the visitors. 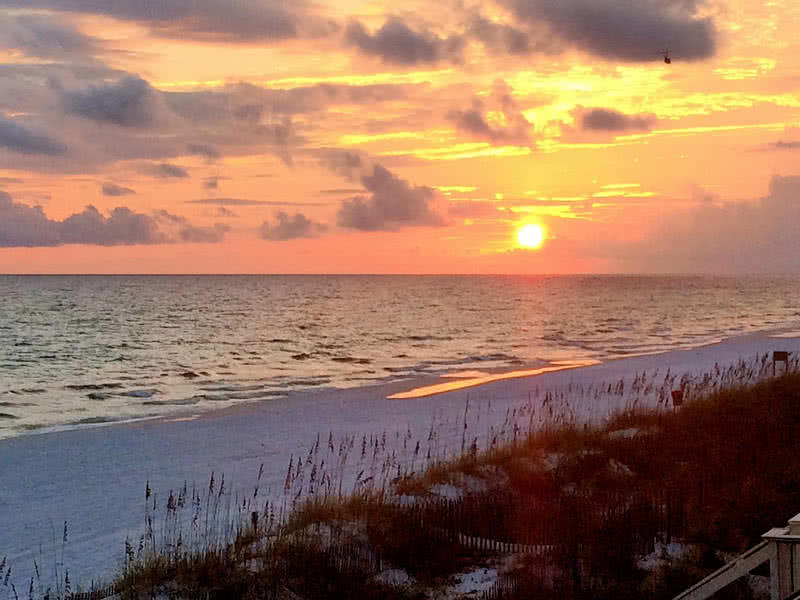 The shoreline of Destin beach city stretches over 24 miles. The beautiful sands found on the beaches of Destin is some of whitest sands in the world. 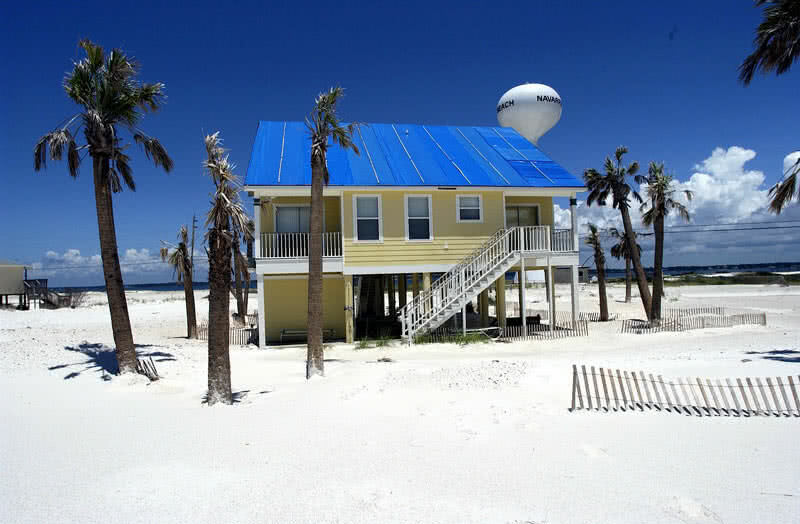 The Henderson Beach State Recreational Area is the most popular beach access point in Destin. The scenic shoreline in the site stretches over 1.8 kilometers. You can enjoy swimming, sunbathing and fishing here. The park also offers bathrooms for the visitors. Barracuda street public beach access, calhoun public beach access, crystal beach drive public beach access and James Lee park public beach park are the other famous beach access spots in Destin city. Destin city features many world-class resorts and restaurants. The Destin seafood festival held in every October also present the variety of seafood for the visitors. South beach is the Southernmost part of barrier Island of Miami beach. The South beach is famous for its spectacular beach, Art Deco architecture, and dazzling nightlife. It is a public free beach with lot of parking place. The South Beach has almost 2 mile long stretches of white sands. The waters are calm and electric blue in color. Thus, it’s a great place for relaxation and swimming. South beach offers the variety of watersports including sailing, yachting, snorkeling, surfing, stand up paddleboarding and kitesurfing. You can rent a bike to get around the South Beach. The colorful lifeguard huts are a symbol of South Beach. The view of the city from the beach is simply stunning. With many dance clubs, bars and world class restaurants, the South Beach offer you a vibrant nightlife. The coastal city of Naples in the Southwest Florida is renowned for its spectacular sugar sand beaches with clear, calm waters. The coastline of this city stretches over 10 miles. 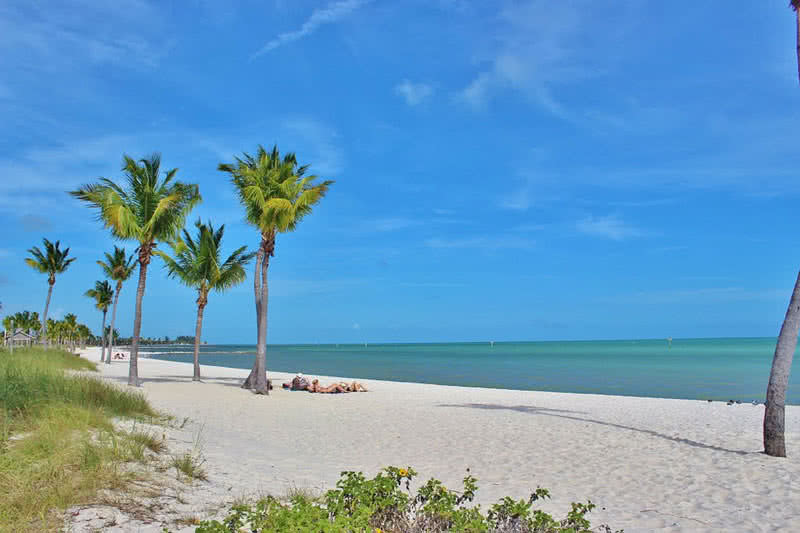 Vanderbilt beach, lely barefoot beach, tigertail beach and Naples municipal beach are most popular beaches in the city of Naples. These beaches offer a variety of activities including swimming, fishing, sunbathing, jet-skiing, sailing and kayaking. The Naples fishing pier in the Naples municipal beach is a don’t miss attraction. This pier extends 1000 feet into the Gulf of Mexico. From this point, you can enjoy fishing and stunning Sunsets. Along the beaches, you will see many world class restaurants. To find a resort that fit your budget is also easy. Naples is also famous for its high-end shopping. The main shopping centers like Fifth Avenue South, Tin City and Mercato offer all kind of stores for the visitors. 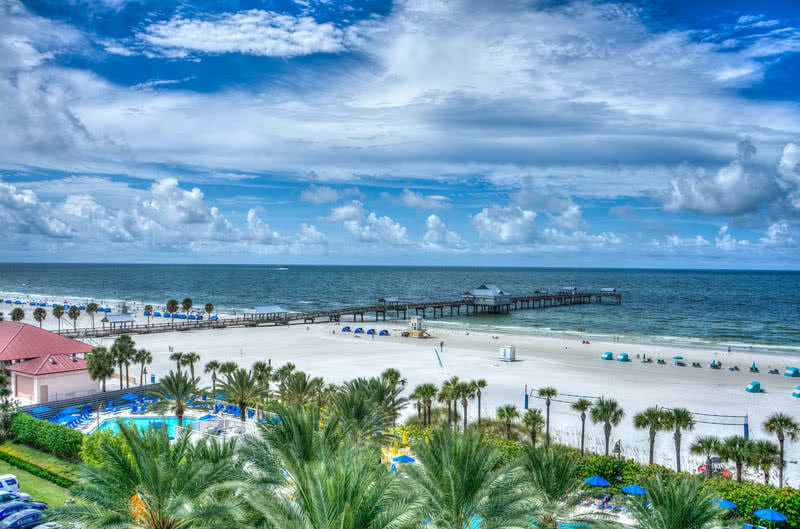 The Clearwater beach located in the West coast of Florida is an ideal destination for beach lovers. The pristine sugar sand beaches of Clearwater beach area stretch over 2.5 miles. 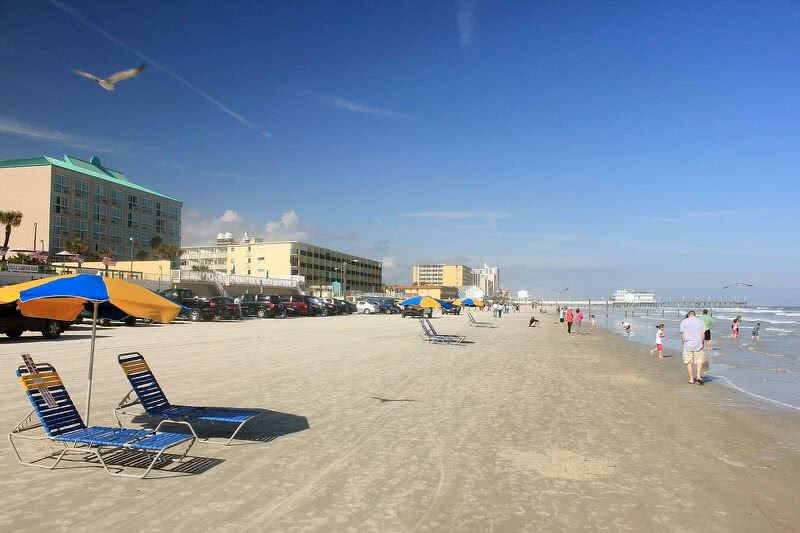 Clearwater beach has pleasant, mild temperature year around and the beaches are known for clear, Gulf waters. The serene, calm and quiet Clearwater beach is an ideal place for relaxation. You can also enjoy swimming, walking, sunbathing, snorkeling and volleyball there. The 1080 foot concrete pier named pier 60 is the most noticeable attraction at the Clearwater beach. At evenings, this pier becomes crowded with locals and tourists to watch the stunning Sunsets. You can also enjoy street performances and live music there. You can find plenty of resorts and restaurants in Clearwater beach for any budget. The scenic beach town of Hollywood in Southern Florida is renowned for its spectacular beach with clear, blue waters. The Hollywood beach is also one of the safest and family-friendly beaches in The United States. Walk along the well-maintained 2.5 mile long ocean-front boardwalk of Hollywood beach. It will be an unforgettable experience for you. Along the route, you will see charming cafes, restaurants, variety of shops and resorts. You can rent a bicycle to ride along the scenic shore of Hollywood. 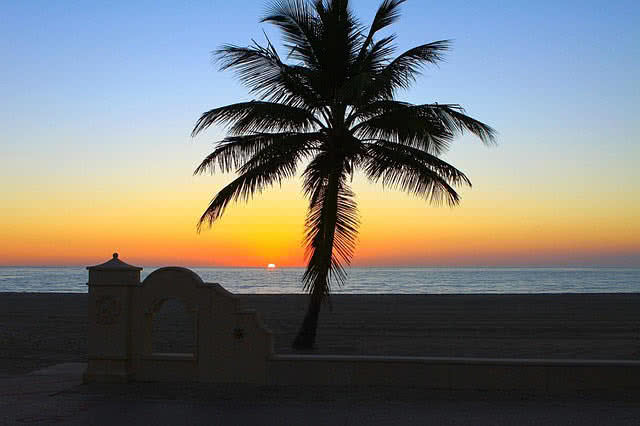 The Hollywood beach is very calm, serene and clean – a perfect beach destination. The local people are also very friendly. The beach also offer variety of activities including boating, swimming, diving and fishing. For accommodation, there are three oceanfront resorts and over 30 lodging hotels in Hollywood. The beach also offer weekly live music events for the visitors. The charming Fort Myers beach town located on the Estero Island of Florida has 7-mile stretch of coastline. With clear, shallow waters, the beaches of Fort Myers are one of safest, family-friendly beaches in the world. Apart from long stretches of soft, white sands and clear, emerald green waters, you can find a variety of shell covered beaches than anywhere else in the United States. Lovers key state park, barefoot beach preserve, bowman’s beach, little hickory beach park and lynn hall memorial parks are most popular beach access spots in Fort Myers town. The beach at the Lovers key state park stretches over 2 miles. The park is known for its unspoiled land and abundant wildlife. The beach, which is a part of this park is also an isolated one, but unbelievably beautiful. Here you can enjoy walking, kayaking, swimming and fishing. Fort Myers beach is one of the best Sunset spots in Florida. There are many family friendly resorts, lodges and world class restaurants near the beaches of Fort Myers. These beaches are also not short in a number of dance clubs and bars. Siesta beach is probably the most beautiful beach in Florida. It is located on the beach road of Siesta Key Island. The long stretch of white sands is the main attraction of this beach. In fact, 99% of sands in siesta beach is pure quartz. The vast stretch of quartz crystal on the Siesta beach stay cool even in dry seasons. So that you can feel the coolness of the sands even when the temperature is high. The waters of Siesta beach is very calm and striking emerald green in color. Here you can enjoy walking, sunbathing, swimming, sailing and kayaking. 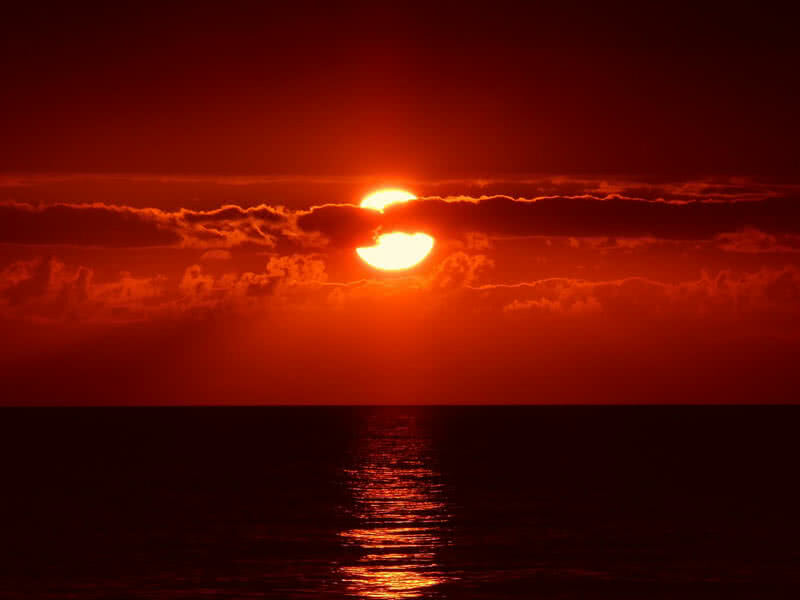 One of best Florida beaches to see stunning Sunsets. The lifeguards are on service year round on Siesta beach. Along the shoreline, you can find their colorful huts. The beach provides all kinds of amenities including restrooms, tennis courts, volleyball courts and bathrooms.